Julianne Hoffenberg is used to working with performers and actors. In fact, she was an aspiring actor herself. In college, she studied acting under such famous names as David Mamet and William H. Macy. Since then she has professionally produced dozens of plays and events. So it seems fitting that her current collaboration is with singer and actor Harry Belafonte. For nearly two years, Julianne has been Director of Operations for The Gathering for Justice, an intergenerational, intercultural, social justice organization that Belafonte founded in 2005. Its mission is to end child incarceration while addressing social unrest through nonviolent, direct action. Julianne and her colleagues at The Gathering for Justice are committed to moving these young people from feeling powerless to empowerment, turning the spotlight on the issue and asking the hard questions: Why are children being incarcerated? How does incarceration address a child’s behavior issues? How does juvenile incarceration affect the way we see ourselves as a society? And, most importantly, what can we do to confront the injustice of incarcerated children? In the search for answers, The Gathering opened and led a national conversation on the state of youth incarceration in America, organizing historic gatherings of disenfranchised and impacted communities across the country, encouraging nonviolence in the tradition of Martin Luther King, as well as civic and political participation. 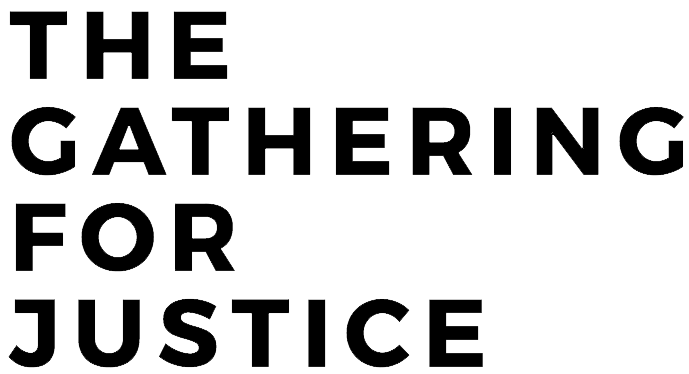 The Gathering brings together generations of activists, community members, formerly-incarcerated individuals, and academics from all communities to build collective strength, to help heal communities and generate an environment of hope and opportunity. Much of the organization’s work is done in prisons and juvenile detention centers using arts and cultural programs to lift the spirits and the self-esteem of the young people inside. The Gathering also provides people of all ages, from school children, to teachers, parents and the community as a whole, with training and education in resolving conflicts peacefully. The hope is that they will use these new-found skills to enhance street life in their local communities. Julianne and the leadership at The Gathering believe that changing the plight of incarcerated children will come, not just through the law, but in the systems built to help young people before and after they enter the criminal justice system.